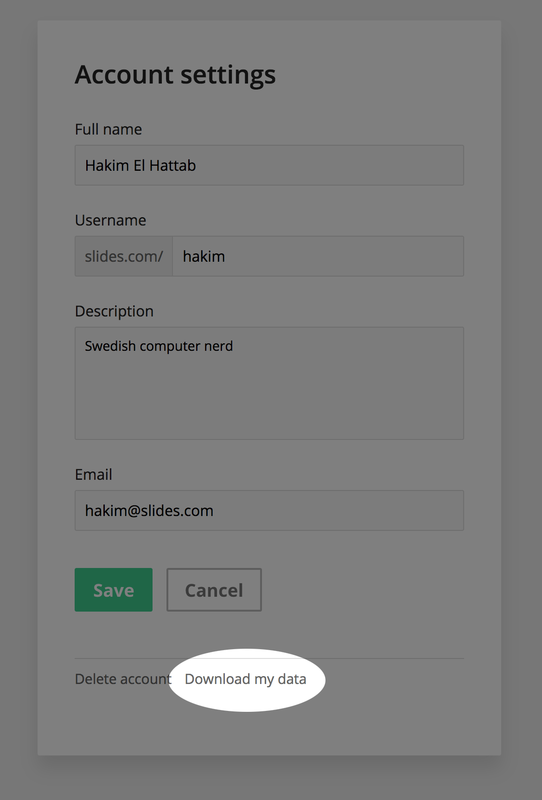 You can export all of the personal data associated with your Slides account from the Account Settings page. The data is exported in a machine-readable format. 2. Hover over your username in the site header and press "Settings"